← Send the Bat(wing) Signal! Time for Toning! 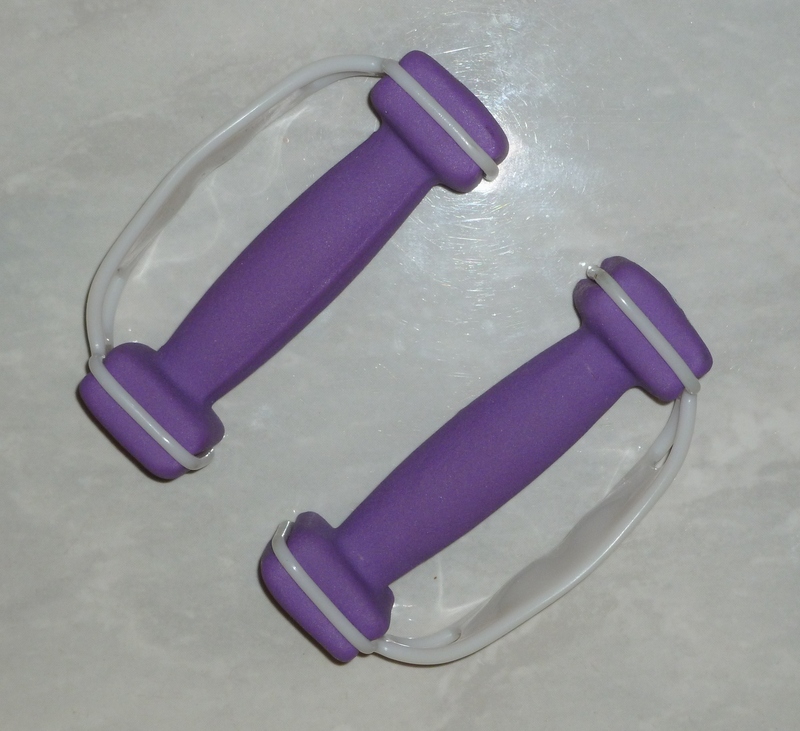 Two purple hand weights sit beside me on my end table. They are being scrupulously ignored as they wait for me to pick them up. They should be enjoying happy lifts into the air over my head, feeling the sweep of the air around them as I swing them in circles at my sides. They should have daily exercise, and I should probably take them on a nice walk. I’m not obliging them. I drove for four hours yesterday, home from a visit to my sister, and now I have other chores to do. I’m not doing those either, but they aren’t in my face, goading me as the weights are. I can hear my little weights whining, “You’d rather spend time with your laptop than with us,” and they’re right. I’m researching some future posts, catching up on e-mails, and sending photos to my granddaughter via Facebook Messaging. Of course, none of this is gratifying for the free-weights, or helpful to my weight loss and toning plan. So, as soon as I post this, I will give my weights twenty minutes of undivided attention. Or maybe I’ll watch the evening news as I exercise. I think they’ll understand. To hear the voices of other bloggers’ subjects, click here. This entry was posted in Blogging, Writing Challenges and tagged DPchallenge, Free Weights, Grammar, lifestyle, Passive Voice, Physical exercise, Senior Health. Bookmark the permalink. 17 Responses to The Call of the Free Weights – Can You Hear the Voices? I “feel your pain” … So much to do and so little time for it all. Clever interpretation 🙂 I have been ignoring every voice in my head! We have a Zumba group in our town recreation program, and my niece leads one on Cape Cod – sounds like that might be a fun addition to my regimen! So glad you stopped by! We do have a few men, they enjoy it. I think they enjoy looking at the other women though, more than the exercise. Mine are not purple but they do call me 2-3 times a week. I have purple hand weights that I have been ignoring as well. There is just so many other more interesting things to do. But, I really have to give them some attention. Now where did I last see them. . .
Good for you, Gemma! Take it one day at a time!